Originally formed in 1956, Musical Theatre Oamaru aims to encourage and promote Musical Theatre in Oamaru and in the wider Waitaki District. Essentially this is done by the production of a variety of Musical Theatre genres including Broadway and West End Musicals, Light Opera, and Theatre Restaurants. We also encourage education and training opportunities in all aspects of musical theatre, both for our student and adult members who may wish to take up the opportunity to expand their own knowledge in specific areas of a working theatre. Through our affiliation to Musical Theatre New Zealand we have access to up-to-date information regarding training workshops available at a national or local level. Musical Theatre Oamaru has a long and distinguished history in the local community and it is very proud to have been vitally involved in the recent renovation of the Opera House (1907). This theatre has been the base for our major productions over the last 50 years, and now boasts up-to-date backstage facilities and dressing rooms, a warm and comfortable auditorium with excellent sight-lines, and a luxurious foyer. 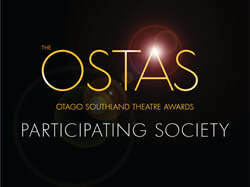 Becoming a Financial Member of Musical Theatre Oamaru is easy, and entitles you to preferential show bookings, invitations to all society functions, and AGM voting rights valid the year following the commencement date of your membership.